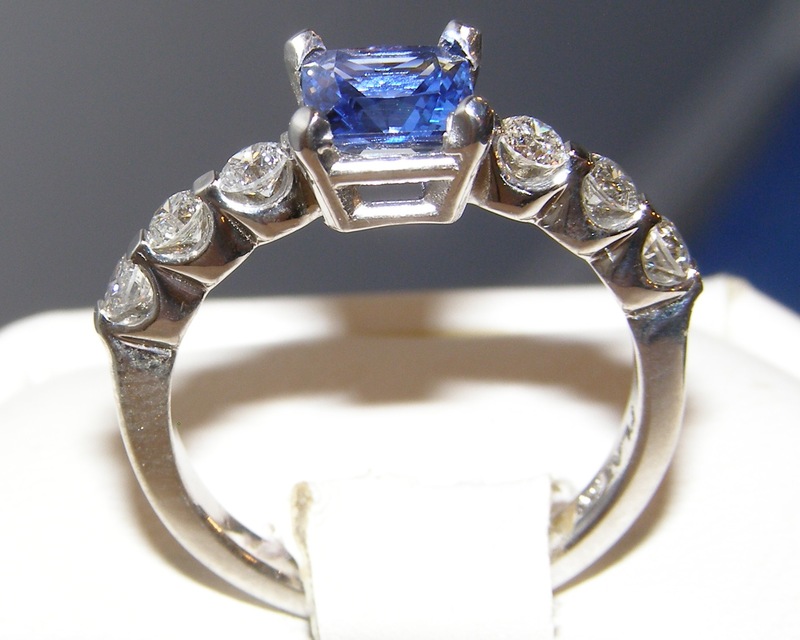 Known for some of the world’s finest sapphires the Ceylon mines are now depleted. 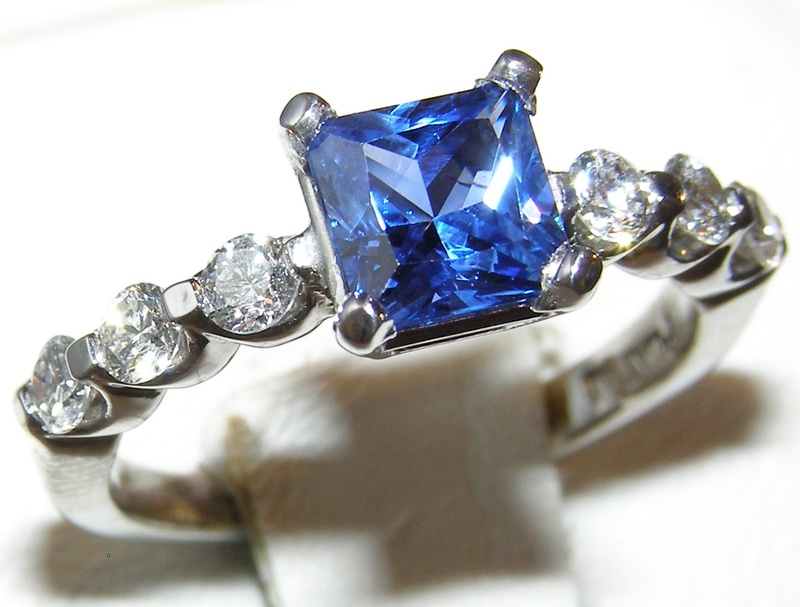 This exceptional princess cut Sapphire is of Ceylon origin, weighs 1.13 carats and measures 5.72 mm. 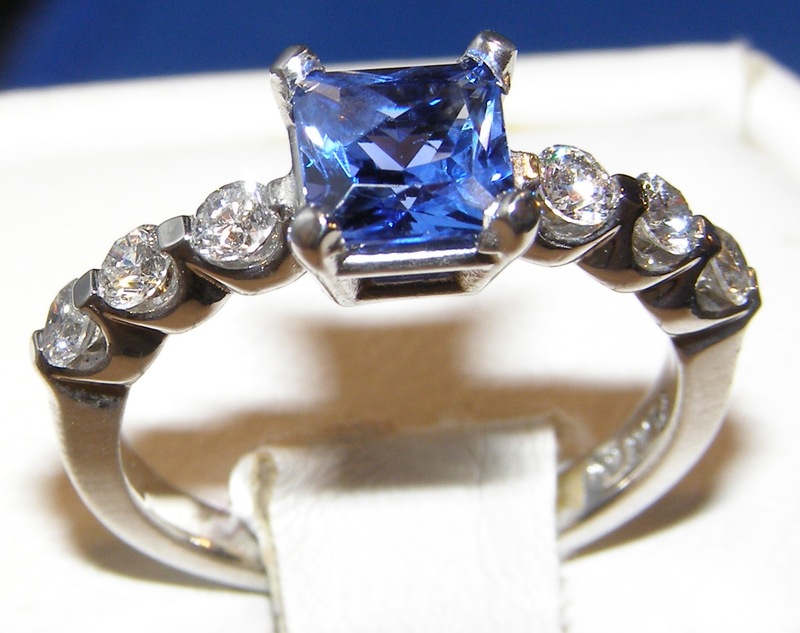 The sapphire has text book cornflower rich blue color, was rated by the dealer as “flawless” in clarity, sports a precision cut and exhibits top bright blue brilliance. 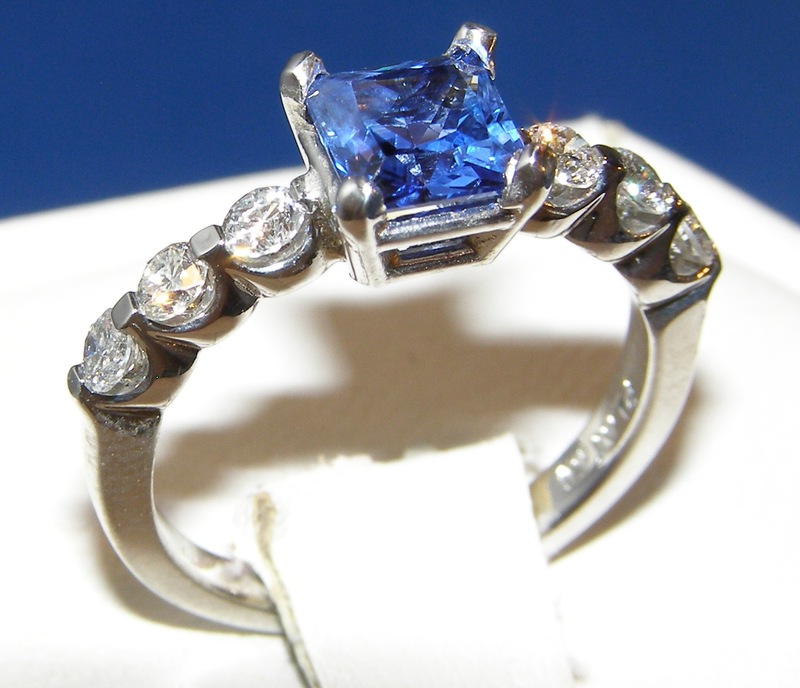 Prong set the sapphire is afforded maximum lighting to showcase its brilliance and also has added protection and ease of wear with a low setting height. 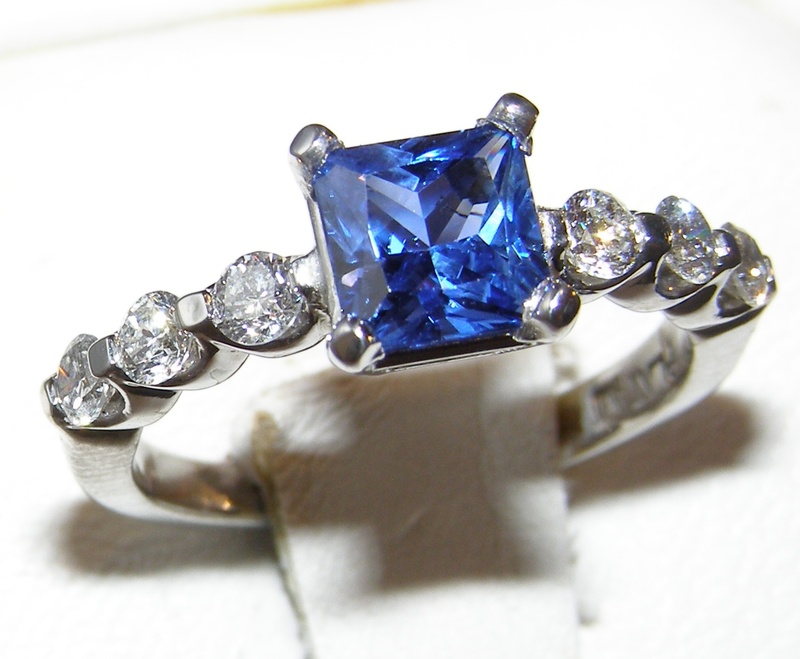 On either side of the sapphire are round brilliant diamonds that line the ring’s shoulders in cinch prong settings. 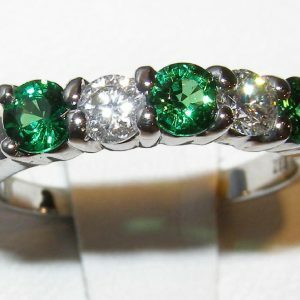 The diamonds are 0.50 carats total weight and SI1 F quality. 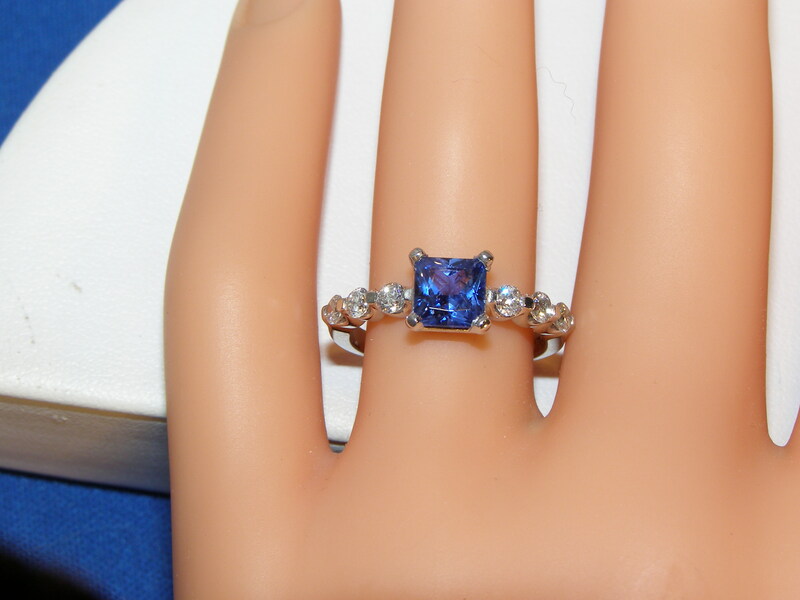 The ring weighs 5.0 grams of platinum and is a size 6 (please let us know your size request on the order form). 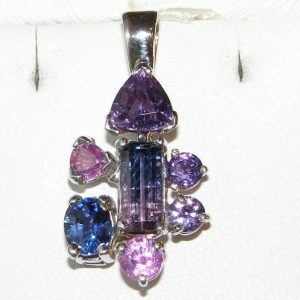 This magnificent piece is offered by Jill Underhill of Color Symphony (http://www.colorsymphony.com) and will be shipped directly from their location in New Hampshire.